Apple has released an official press photo from their employee celebration of Steve Jobs' life that took place at 1 Infinite Loop on October 19th. 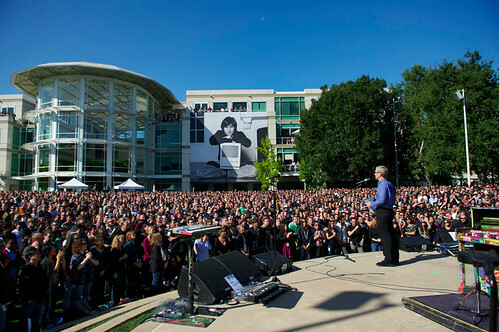 The photo above shows Apple CEO Tim Cook addressing Apple employees at the event. Retail employees from around the world watched the celebration in a live broadcast today from their respective Apple Stores.